StorMagic SvSAN removes the need for a physical SAN in some of the world’s most demanding environments by converting the disk, flash and memory of two servers into a virtual SAN. It is perfect for deployments across any number of remote or branch offices as well as IoT projects that require a small IT footprint as well as the uptime and performance necessary to process large quantities of data at the edge of the enterprise. Our typical customers have distributed IT operations in locations like retail stores, branch offices, factories, warehouses and even wind farms and oil rigs. In all of these deployments, SvSAN enables small hyperconverged clusters with an unrivaled level of simplicity and affordability. 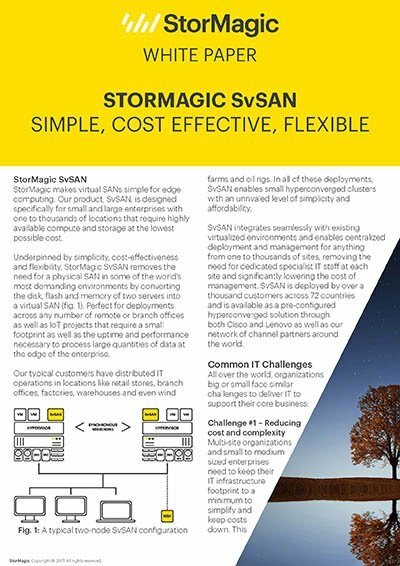 This white paper discusses the common IT challenges that can be resolved by deploying StorMagic SvSAN in your organization. Explore the various use cases which SvSAN has been specifically designed to operate in and how SvSAN's various features can be leveraged to optimize its use. This white paper has been written to accompany the SvSAN Data Sheet and SvSAN Technical Overview documents. Together, all three offer a complete examination of the solution and how it can be used. 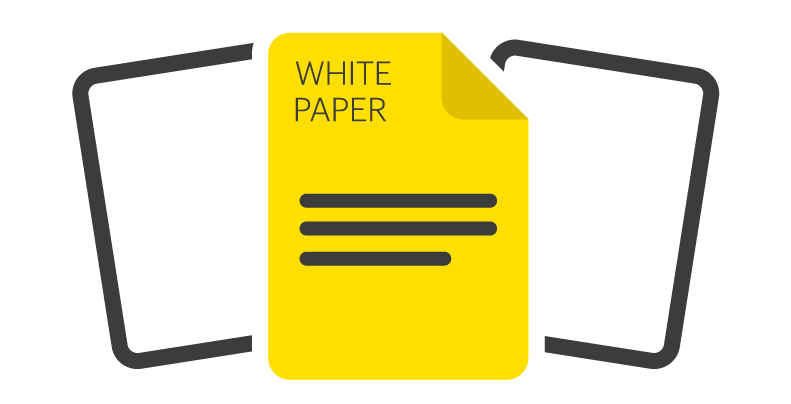 Complete the adjacent form to read and download the full white paper.